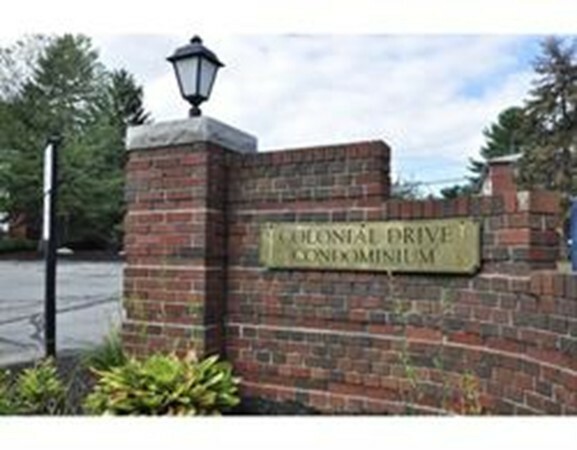 Here's a wonderful and rare opportunity to 'Cozy Up" in a well cared for studio condominium at Colonial Drive. Conveniently located close to shopping, major highways, Harold Parker State Forest, many of Andover's walking trails(AVIS) and downtown Andover center which features shopping and fine dining. Enjoy this top floor unit with newer appliances, updated kitchen and bath- condominium fee includes heat, water, swimming pool, master insurance, grounds maintenance and much more. A great place to call your castle.. at a terrific price!